Superdry men's Superdry Surf Henley Jumper. 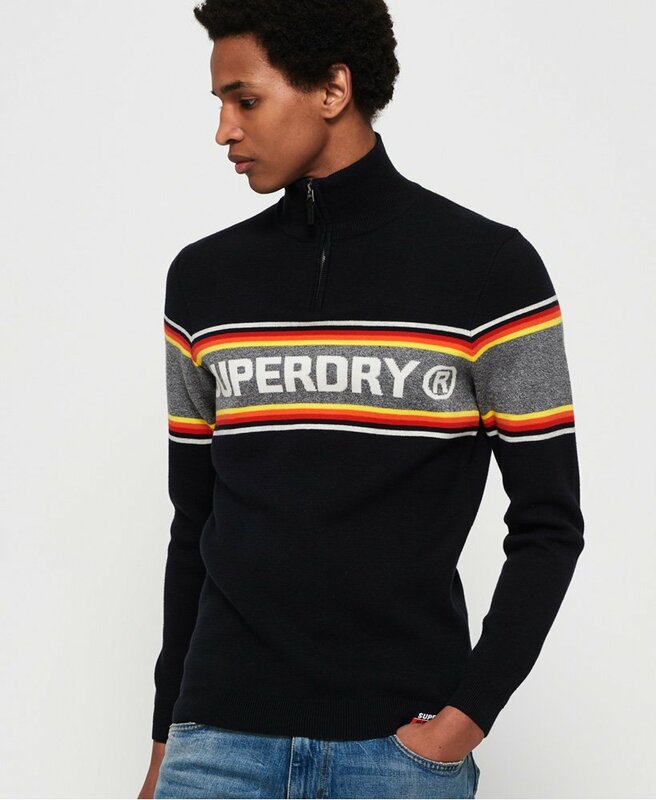 This jumper features a large Superdry striped logo design across the chest and sleeves. This jumper also features a collar neck line with a zip fastening. Finished with a Superdry logo badge on the hem.